Every bar sends out flyers to advertise and promote. 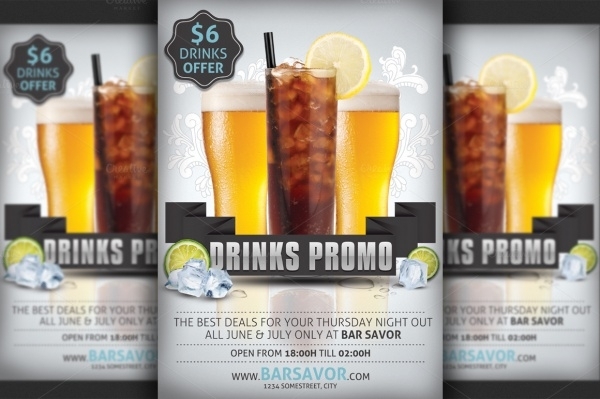 Be it a ladies night on Thursday, or fuzzy Friday evenings, they all are promoted through Advertising Flyers. And it is this design that gives out the initial vibe of the place to the potential customer. 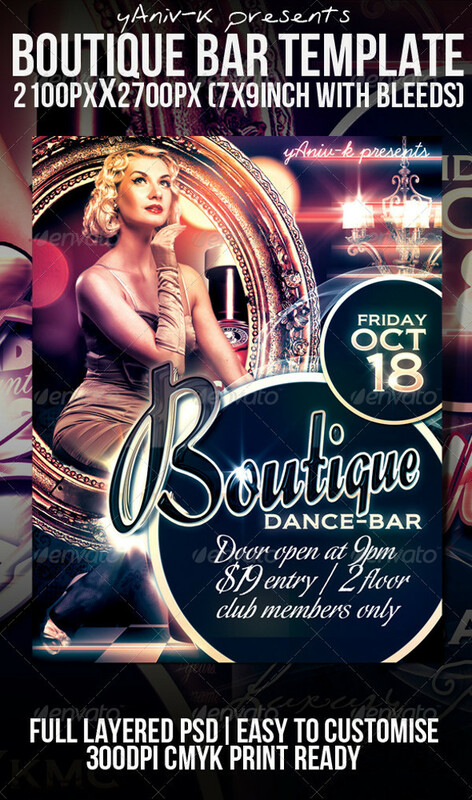 So, as a designer, it is really important to design a professional looking flyer. 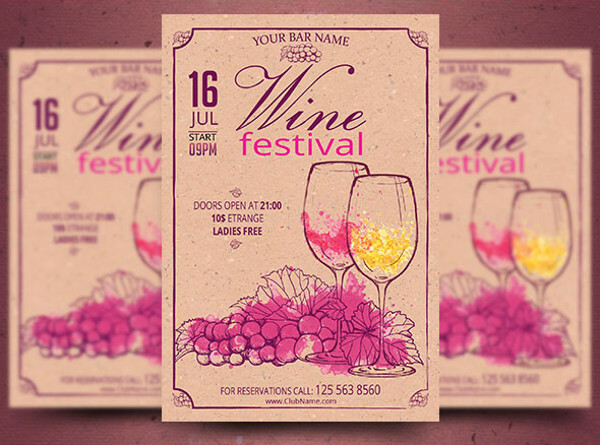 But on the way, you can surely use some help from these ten different eye-catching flyers mockups and templates that you can use for creating a bar/club flyer for your client.You may also see PSD Party Flyer Designs. This is a design by Desline Toh on Behance. 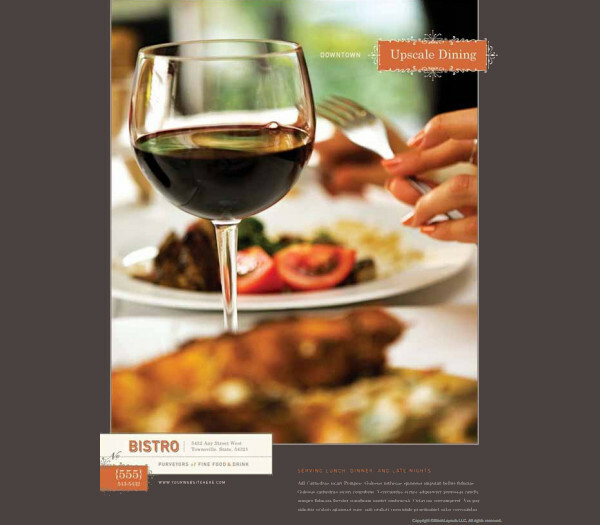 This creative design represents the essence of the elegant fine dining bistro. The novelty fonts suit really well to the design too. 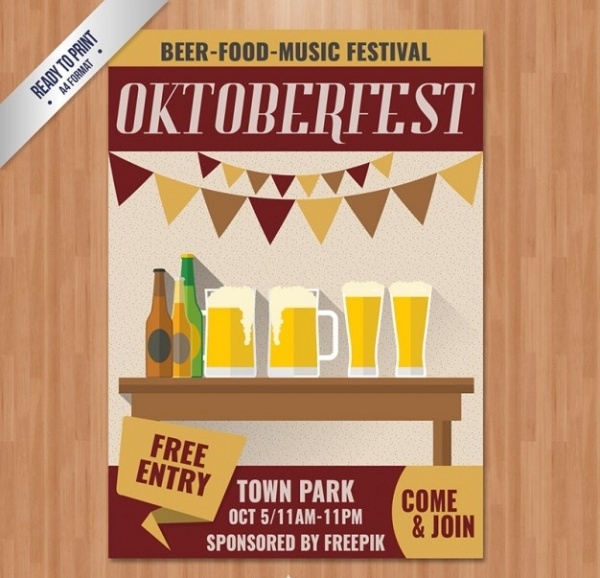 This is a mockup for an Oktoberfest. 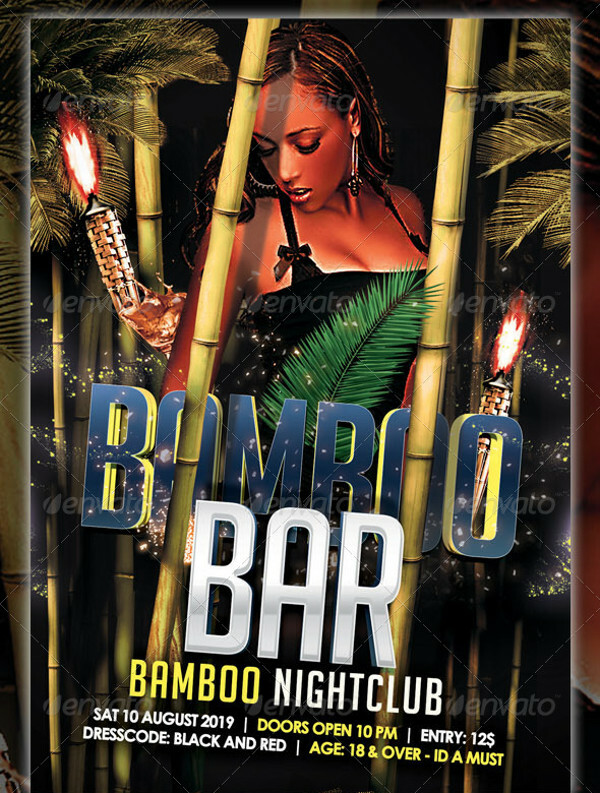 The free download is a vector graphic design and can be customized. The entire look of it is retro and the addition of beer and flags makes it look more joyous. You can edit this design to promote live music night Sundays. 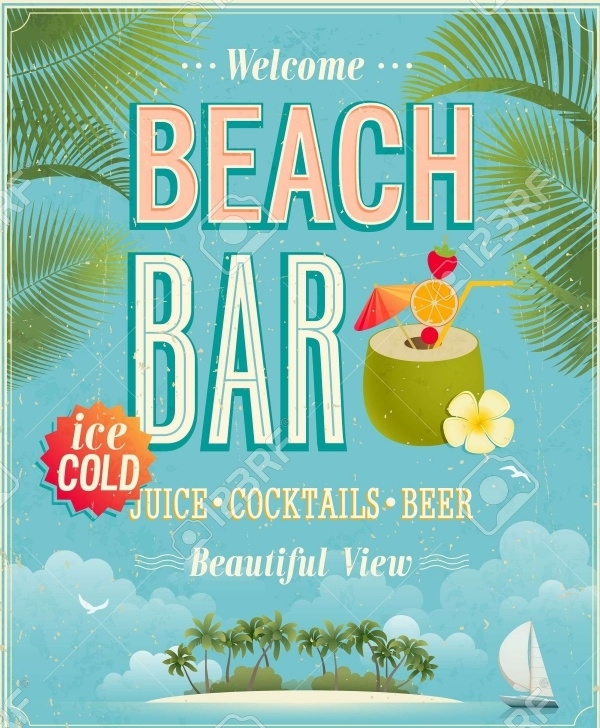 If your client is requesting a summer beach party themed flyer then check out this downloadable PSD design. It is available in two sizes and gives total control over customization through the organized layers. The print ready design is set at 300 dpi. 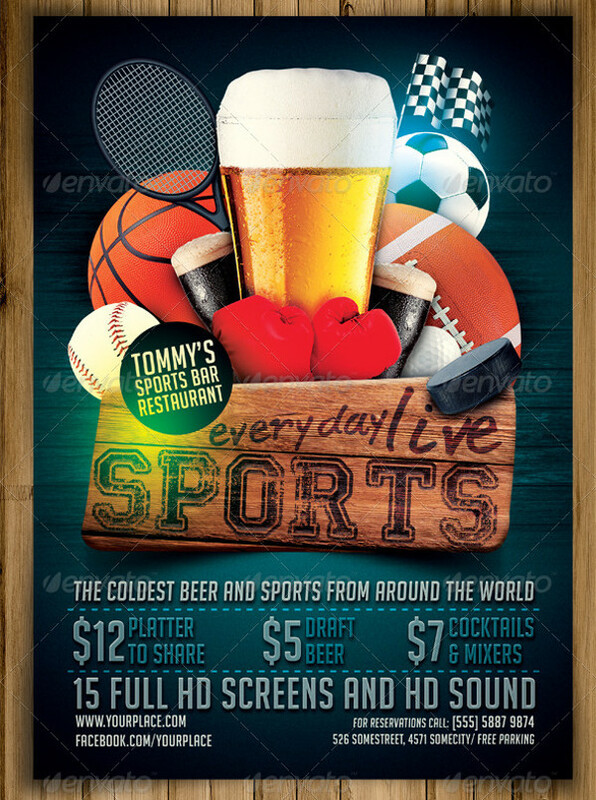 This is a creative and modern Retro Flyers with different sporting goods and equipment encompass a giant glass of beer. The download will include three PSD files that are set in CMYK colors and 300 dpi. 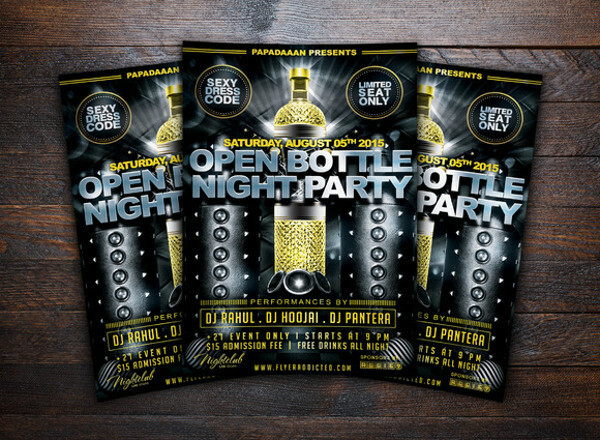 If you want a generic design that can help you promote any kind of party then download this fully customizable and editable flyer in 4×6-inch size. 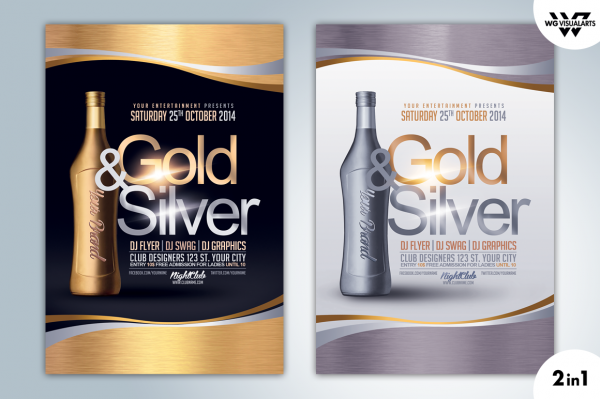 The design looks classy in the shades of gold and silver. 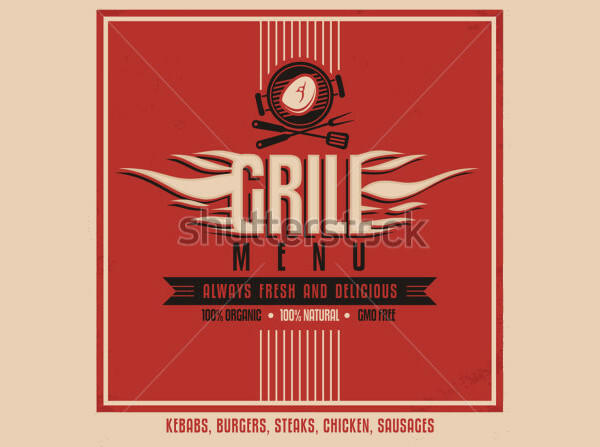 This design can be best suited for a café or a bistro menu. 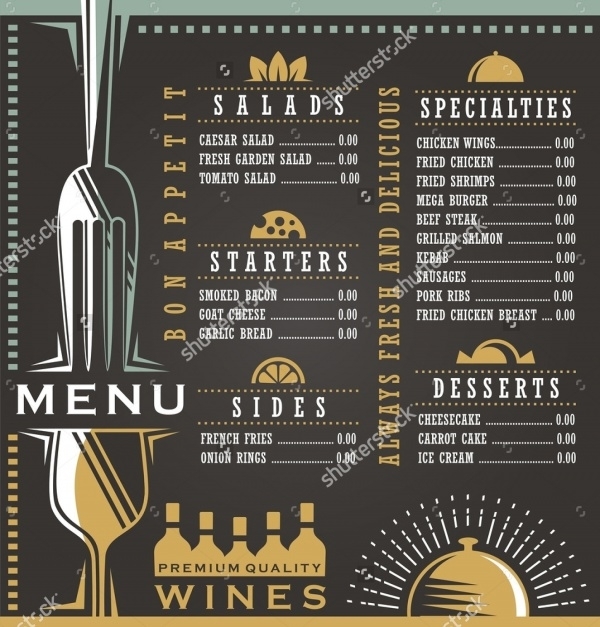 It shows the wine and food menu and also uses artwork related to the theme to give it an offbeat classy appeal. The download will include a PSD file along with the help file for the information regarding the typefaces used. The dimensions of the design are 2100×2700-pixels (7×9-inch with bleeds). The file is well organized in color groups and appropriately named layers. Check out this generic yet cool looking advertisement flyer. You can easily replace the text content to make it relevant to any event. The 2 PSD files are set in A4 size and CMYK color code at 300 dpi. The design is as fiery as the grill. 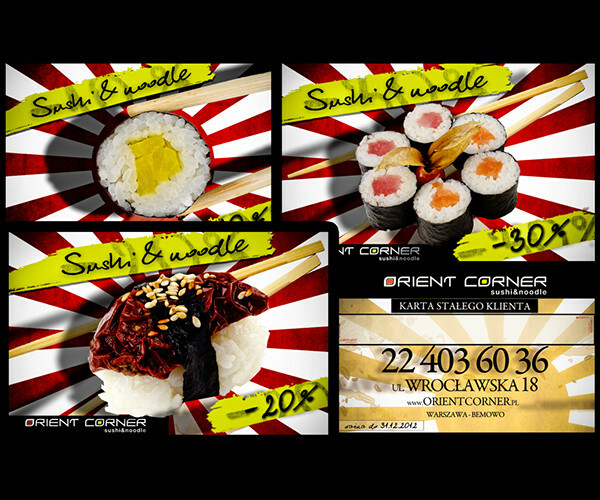 The colors and design are old-fashioned and can be used in flyers and also as a cover image for the menu. 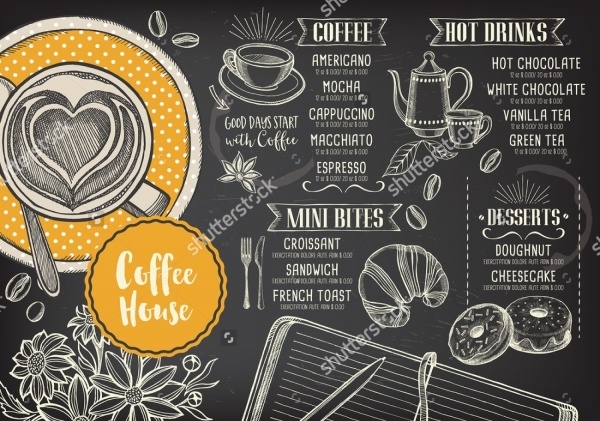 Download the high-resolution copy of the design from ShutterStock. 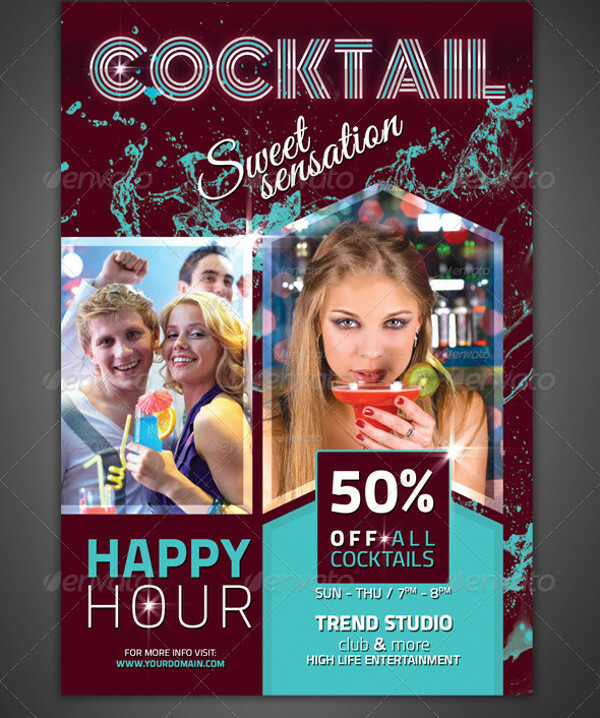 This is a 4×6-inch portrait design for a cocktail bar promotion. The design can be downloaded from GraphicRiver and with just a few tweaks it can also be turned into an elegant bi-fold leaflet. 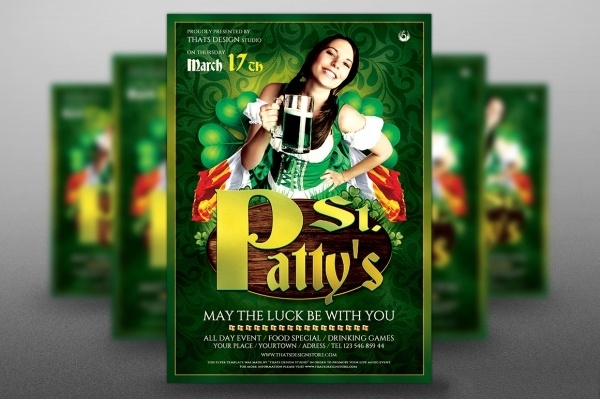 All these templates and mockups are related to bar themes, but they can easily be used for any event where there is going to be either music or alcohol. 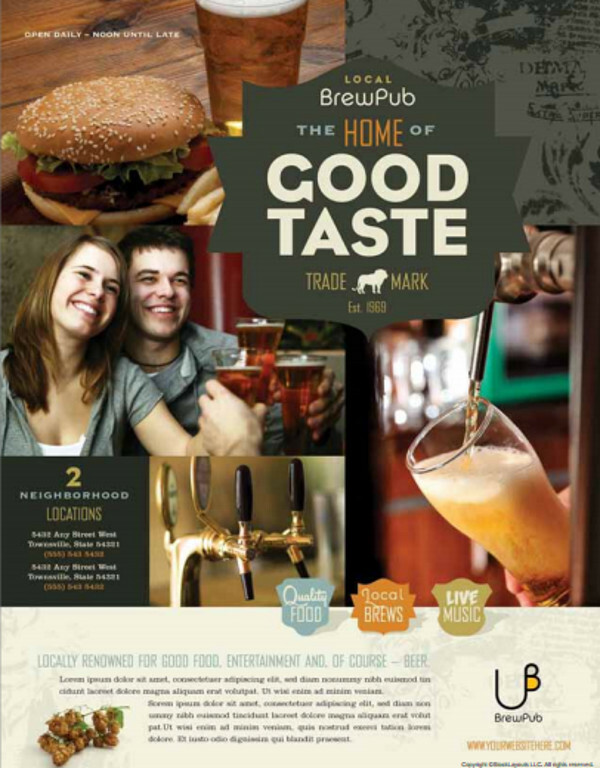 Make sure to check out the license details before using these designs for commercial and distribution purposes.